If you're thinking about purchasing a luxury wagon, you may want to consider the 2017 Volvo V60 in Plano. It's comfortable, fuel efficient and offered with a ton of advanced safety features that will keep you and your loved ones secure. In addition to the standard model, buyers can opt for the V6 Cross Country which rides a bit higher than its counterpart. Equipped with similar amenities, while offering light off-road capabilities, this example is widely admired by buyers. Read over our 2017 Volvo V60 review below for more information about the wagon. 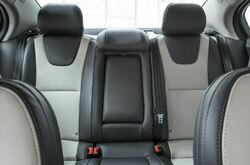 The V60 comes in four trims: T5, T5 Premier, T5 Platinum and T6 AWD R-Design. The four-door Cross Country is available in two trim: Premier and Platinum. Standard V60 models are equipped with a range of components, including cruise control, a sunroof, heated mirrors, leather seating, alloy wheels, power-folding rear headrests, a heated steering wheel, xenon headlights and roof rails. The 2017 Volvo V6 Cross Country in Plano is offered with many of the same features, as well as rear privacy glass, a 12-speaker stereo system, keyless entry, satellite radio, auto-dimming mirrors, dual-zone automatic climate control, Volvo On Call emergency services and navigation. A turbo 2.0L four-cylinder, delivering 240 horsepower and 258 lb.-ft. of torque, is outfitted on the V60 T5 and Cross Country. An eight-speed automatic is paired with the engine, sending power to the front wheels on T5 models. The Cross Country comes solely with AWD. 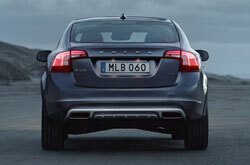 V60 T6 AWD R-Design examples get a revised version of the engine that generates 302 horsepower and 295 lb.-ft. of torque. An eight-speed automatic is once again paired with the engine. Forward collision warning, antilock brakes, traction control, airbags and stability control are standard on the V60 and Cross Country. Other features like rear cross-traffic alert, parking sensors, a rearview camera and blind-spot monitoring are included on select packages. These advanced technologies have been noted in many 2017 Volvo V60 reviews. What are you waiting for? 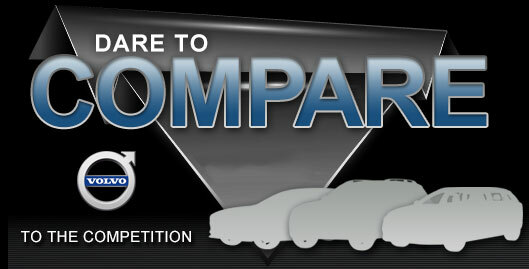 Find your S60 now! 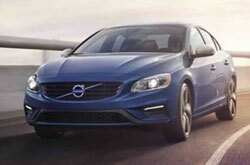 Why Drive the Volvo S60? Don't settle for the 2017 Audi A4, Mercedes-Benz C-Class, Acura TLX and the Infiniti Q50 when searching for new car models; visit Crest Volvo Cars to take a look at the well-liked 2017 Volvo S60 in the Dallas metro area. You're likely to find it suits the demands of your needs, with its winning design, premium on-board technologies and fresh persona. After you are finished up with our 2017 Volvo S60 review and try out the comparison tool, view finance incentives offered at Crest Volvo Cars. We're a resident Volvo franchise where you can find up-to-the-minute incentives - not only for the Volvo S60, but also for other new and quality pre-owned cars. 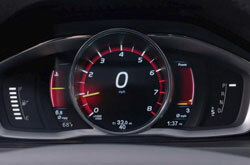 After reading our 2017 Volvo S60 review, make note of the details that you found accessible; they'll help you make a well-informed vehicle purchase that you won't later regret. 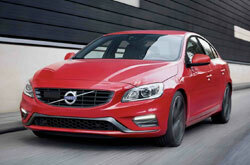 Check out new Volvo S60 models at Crest Volvo Cars - scheduling a test drive on our site is simple using our online form. If you can't wait to see it in the flesh, take a peek at its dapper cabin in the included video before stopping by.